Our QUIZ is held every Thursday night from 9 – 10pm in the sports bar with teams limited to a maximum of 6 people. Open to all – no pre booking required, just turn up on the night. Prizes for the winning team and the losers. Why not make up a team and join in to give your brain a bit of a ‘work out’ while you enjoy a drink from the bar. 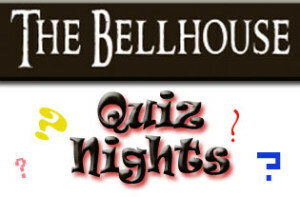 See the Whats On Calendar for more details or notices in the Bellhouse Club bar.